Motorhome and Caravan Insurance approved tracking systems. Security that your vehicle is protected from vanishing forever. Tracking Devices are very effective at recovering stolen Motorhomes and Caravans. A motorhome and caravan tracking device can immediately and accurately pinpoint the location of a stolen motorhome or caravan and guide police to a speedy recovery. Dependent on the value of your motorhome or caravan and your personal circumstances, Many insurance companies may insist on a certain category of tracker in order to be able to provide an insurance quotation. 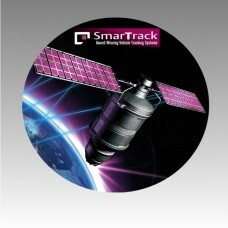 Smartrack Stolen Caravan Tracking devices are tested to Thatcham TQA standard S7. They operate.. The SmarTrack Category 5 / S5 has been tested to Thatcham TQA standard. They operate using GPS..
Smartrack Stolen Vehicle Tracking devices are tested to Thatcham TQA standard. They operate using GP..
Smartrack Stolen Motorhome Tracking devices are tested to Thatcham TQA standard S7. They operate usi..
Rhino Installs can supply and fit trackers from manufacture such as Smartrack, Cobra, Vodafone and Phantom. Motorhome, Campervan and Caravan Tracker installations carried out by ourselves at our NCC Approved premises in Preston Lancashire. Please contact us and we will be happy to help. We have fit to all types of motorhomes and Caravans, manufactures such as Swift, Hymer, Bailey, Burstner, Autotrail and many more.